If you have been arrested for DUI in Florida, you only have 10 days from the date of your arrest to fight the administrative suspension of your driver’s license through a Formal Review Hearing. If you hire an attorney at the Sammis Law Firm during those first 10 days after your arrest, we will demand and schedule your formal review hearing for you. We will also obtain your 42 day permit so that you can continue driving while we fight the administrative suspension. Many attorneys in Tampa do not provide this service to their clients. Other attorney will only appear by phone. The attorneys at the Sammis Law Firm understand that this hearing is often the MOST important part of your case. We appear in person every time. We obtain and serve a subpoena for every witness listed in the DMV’s packet (unless we have a really good reason not to serve the subpoena). The evidence gained during the hearing can be used to fight the criminal charges against you. Even more importantly, if you win the hearing, then the administrative suspension will be set aside and removed from your driving record as if it never happened. Never waive your right to a formal review hearing until after you have spoke to an experienced criminal defense attorney who focuses on DUI defense. Serious downsides come with waiving the formal review hearing (often called the “waiver review hearing for immediate reinstatement”). Be sure that you make an informed decision after understanding the consequences before you decide to waive the formal review hearing. Update: Prior to July 1, 2013, no downside existed to requesting a formal review hearing to contest the administrative suspension of your driver’s license. Now, however, a potential downside is written into the law. If you have no prior DUI or DUI related offenses or suspensions then you may be able to avoid the 30 or 90 day hard suspension by waiving your right to contest the administrative suspension. In other words, you must STIPULATE that your driver’s license will be suspended for 6 months (for a breath test over .08) or one year (for a refuse).This suspension will then remain on your driving record for LIFE. To avoid the hard suspension, you must request a review of eligibility for a “Business Purpose Only” restricted driving privilege which waives the right to a formal or informal review hearing. Read more about the new Florida law for DUI administrative suspension hearings. In most cases, we advise our client to go forward with the formal review hearing even if they are eligible for a waiver review and immediate reinstatement. We think the formal review hearing is worth risking the potential downside. If the arresting officer or the breath test operator fails to appear (even in a refusal case) then the suspension SHALL be invalidated. Even if everyone appears, there are numerous other reasons why the suspension might be invalidated. By requesting waiver review you forever waive any right to contest the administrative suspension. No downside to requesting the Formal Review Hearing if you have an out of state driver’s license and do not need to drive in Florida during the 30 or 90 day hard suspension period. Even if you lose the hearing, your attorney has gathered valuable information that might make the difference in achieving a more favorable result in your criminal case. During the formal review hearing your attorney was able to question all of the state’s witnesses that could potentially testify against you at trial. Your attorney was able to uncover evidence for potential defenses that can be used to win your case during a motion to suppress, motion to dismiss, or during a jury or bench trial on the criminal charges. In fact, many criminal defense attorneys agree that the administrative hearing is the most important part of your case. Find out more about how the DUI attorneys in Tampa, FL, at the Sammis Law Firm use the formal review hearings to protect Florida driver’s license and also preserve evidence that can be used to fight the criminal case. The Florida DUI Administrative Suspension – How Long Will My Suspension Last? After a DUI arrest your driver’s license will be administratively suspended if you either took the breath test and blew over the legal limit or if you refused to take the breath test. The “hard suspension” refers to the time period in which you are not able to obtain a “business purpose only” or restricted driver license. In other words, during the hard suspension you can not drive for any reason. If you are caught driving, then you will not qualify for the “business purpose only” driver license for the remainder of the suspension period. If you took the breath test then your Florida driver’s license will be suspended for 6 months with a 30 day hard suspension. If you refused then your Florida driver’s license will be suspended for 12 months with a 90 day hard suspension. Update: As discussed above, for a DUI arrest that occurs after July 1, 2013 with no priors (meaning no prior DUI convictions or administrative suspensions) you might be able to avoid the hard suspension entirely by waiving your right to review with the first 10 days after the arrest. If you took the breath test, then you will suffer a 12 month suspension with a 30 day hard suspension. If you refused the test, and your first offense was after a breath test, then you will suffer a 12 month suspension with a 90 day hard suspension. If you refused the test, and your first offense was after a refusal, then you will suffer a 18 month suspension with a 18 month hard suspension. If you took the breath test then you will suffer a 12 month suspension with a 12 month hard suspension. If you refused the breath test and if all prior offenses were after a breath test, then you will suffer a 12 month suspension with a 12 month hard suspension. If you refused the breath test and one of the prior offenses was after a refusal, then you will suffer a 18 month suspension with a 18 month hard suspension. What would you do if you could not drive for any reason for 3o days, 90 days, or 18 months? The most devastating consequence of a DUI arrest is the administrative suspension of your driver’s license. You may be able to avoid that administrative suspension by winning your formal review hearing. Failure to show that BOTH breath test readings were over .08. The Administrative Hearing with the DMV is the Most Important Part of Your DUI Case. Aggressively litigating the formal review hearing with the DMV is one the most important steps in preserving evidence that can later be used to fight the DUI case, especially in DUI refusal cases in which the prosecutor relies almost exclusively on the testimony of the arresting officer. Even in those cases in which you lose the DMV hearing, the fact that your DUI attorney has been able to question all of the officers against you under oath early in your case can be very crucial in fighting the criminal accusation. Leslie Sammis is a DUI attorney in Tampa, FL, who represents individuals charged with DUI Attorney in Tampa, Hillsborough County, FL. This entry was written by lsammis, posted on March 23, 2009 at 21:42, filed under DUI refusal, Formal Review Hearing and tagged DUI license suspension. Bookmark the permalink. Follow any comments here with the RSS feed for this post. Post a comment or leave a trackback: Trackback URL. How do they know how many you have if out of state and real long time ago? Only if it is on your driving record? Yes. 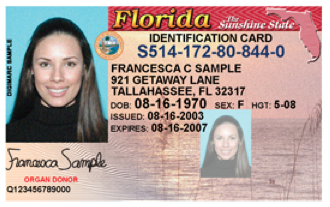 I believe the DMV for the administrative suspension will only use the information on your Florida driving record if you have a Florida driver’s license number at the time of the arrest. If not they create one for you after the arrest. I’m not sure how the DMV would find out about out of state records for the administrative hearings if the information is not on the Florida driving record right after the arrest. Appreciate the info for driver’s license suspensions for Drunk Driving cases in Florida. That explains it better than the DMV website. When does the 6 month suspension start? 6 months from the incident or from the day its settled in court? Under Florida law, the administrative suspension starts on the day of the arrest. By contesting the administrative suspension you are asking the hearing officer with the DHSMV to “invalidate” the suspension so that it comes off the driver’s DHSMV record. In a totally different proceeding, if the individual is ultimately convicted of DUI, the Court is REQUIRED to impose another “court ordered” suspension that last for at least 6 months (although it can be much longer depending on the way the DUI is charged). These two suspensions can overlap, or in some cases the administrative suspension has already run out before the court ordered suspension takes effect. As I read the law on the FL DMV site (and no, I’m not a lawyer)it reads ” First Suspension for Driving With an Unlawful Alcohol Level (.08 or above): 6 months”. So my interpretation would be if you had a previous suspension for refusal (12 months) and then a second suspension for .08 or above (first suspension for .08) then the suspension for .08 would be for 6 months as it is your first suspension for .08 . Am I understanding the DMV administration laws correctly here? May be reading this with my heart as I am in this situation!!! You are talking about two different things. It depends on facts that you have not provided. There is an administrative suspension (that takes place immediately after the arrest). Additionally, there is a court ordered suspension (that occurs if you are convicted of DUI). The rules I have stated for the administrative suspension are correct (I believe) although I have not seen them spelled out in that detail on the DMV website. So the information you see on the DMV site may be referring to the court ordered suspension. This information is just for informational purposes. You would need to contact an attorney about the specific facts of your case. It is extremely complicated and depends on a variety of issues. Another fact FHSA is stating that the review’s are only appealable for 10days after decision was made. Now my supposed offense started in Feb 2012 received a 30 day permit only and at end of which I received letter of suspension by them. Only appealable 10 days from such date. My court carried out to end of Aug. date on letter of Nolle Prosequi is Aug 22,2012 which in their time frame is well past the time frame for any appeal. I have a question regarding the hardship reinstatement. I had a previous owi in Wisconsin 12 years ago. I recently was convicted of DUI in Florida. Criminally, I was treated as a first offender. As far as the hardship, from what I understand, a second dui conviction (even 12 years apart and from another state) means there cannot be a hardship reinstatement under any circumstances. Is it common for the Florida DMV to have out of state records dated several years back at hardship hearings? Yes, it is common for the Florida Department of Highway Safety and Motor Vehciles (DHSMV) to have a record of an out of state DUI / DWI / OWI, even for a conviction that dates back more than 10 years. 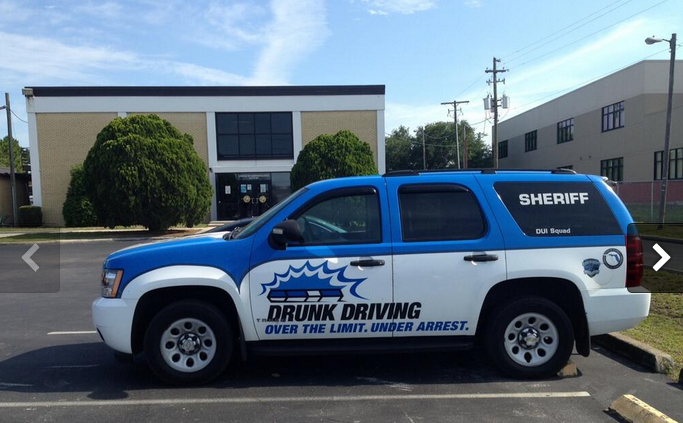 Even if the court treats it as a first DUI, the DHSMV will not. My husband’s license was revoked in michigan in 2007 “until approved” eligible for review as of 2/2012. No review has been sought -seems useless now as we’re moving to Florida. There are multiple violations between 1980 and 1998, DUI related. There were none between 1998 and 2006 and none since. Can he be granted a Florida license, even restricted, when we become residents in June? We will both be retired but may work part-time. My question is when does my 90 days of hard suspension start? a) The day the administrative hearing was held May 8, 2013? b) The date my 42 day hardship expired, May 27, 2013? I ask because this determines when I can go back to the DMV and get my “business license” back while I wait for my court date. I believe the hard suspension starts when the temporary permit expires. It would not be the date of the administrative hearing because the hearing officer still has 7 days after that to submit the order. They time the 42 day permit so that it expires right around the time that the order is submitted. I was in a single vehicle wreck a few years back, I ended up in the emergency room. In the ER my blood was taken by the nurse. I received a citation for DUI and notice to appear a month or so later. Due to a misdated citation, and the court’s molasses like speed, all charges were dropped. I was told by my public defender that all was ok and I would be able to reinstate my license purely by showing/notifying the DMV of this. The DMV proceeded to request an original copy of the ticket (my yellow copy being “unreadable”) that the Clerk of the Courts seems to have “misplaced”. Along with completion of a $250 DUI class and an additional $212 for the license itself. My question is two-fold, does this violate in some way my right to due process? And secondly, How the hell do I get my license back? Thank you all in advance. I assume that your blood results came back over the legal limit of .08. Since all criminal charges were dropped, your driver’s license should not be suspended due to any court ordered suspension. Instead, you probably have an administrative suspension for 6 months if this was the first time you were charged with DUI. The public defender is generally not allowed to represent you in the administrative hearing. Doing it yourself is extremely difficult. The Florida DHSMV would have sent you an order of suspension and invited you to request either a formal review hearing or an informal review hearing within 10 days after you received the order of suspension. If you didn’t do this then the administrative suspension survives even though the criminal charges did not. If you are too late to contest the administrative suspension, then wait out the 30 day hard suspension without driving, then report to the Florida DHSMV to request a hardship hearing and then reinstate your full driving privileges when the 6 months is up. You can go to the Florida DHSMV to do a driver’s license check to see exactly why your driver’s license is suspended. Or get a lifetime copy of your Florida Driver’s License and go over it with an experienced DUI attorney. Most people don’t realize that the administrative suspension is almost as serious as the criminal allegations. The administrative suspension can also cause a spike in your insurance rates even if the criminal charges are dropped. Is driving from the gas station, from your house, business purposes? I would guess that driving from the gas station to your house would be a business purpose since you have to have gas in your car for it to operate although the statute doesn’t expressly say that. As a side note, I’ve heard the hearing officers at the DMV office tell people that they can not drive if another licensed driver is in the vehicle. Florida Statute Section 322.271(1)(c) provides that C- Business Purpose Only – A driving privilege that is limited to any driving necessary to maintain livelihood, including driving to and from work, necessary on-the-job driving, driving for educational purposes, and driving for church and medical purposes. It is good to be worried about the rules because a violation in the restriction is a misdemeanor in the second degree and you will lose your driving privilege for the balance of the suspension/revocation period per FSS 322.16. But driving from work to the gas station on the same route and then home is probably permitted. I’ll have to look to see what case law interprets the statutory language because I get those types of questions a lot. Unfortunately been there done that. What florida has done is given itself the power of charging you also with no court, no chance of rebuttal, etc. They state you have the right to a hearing with one of their agents which basically even before you address the criminal charge in court he’ll read the arresting officers report and guess what bam you’ve just been tried, judged, and given the states sentence. Even though any and all criminal charges can be dropped, nolle prosequi’d, as in my case arresting officer given a choice to resign versus the departments again inner self policing policy’s. Anybody in their right mind would of course choose the 1st which leaves him still able to be rehired elsewhere, retain his retirement plans, etc, etc. 2ndly in my case the state even though all criminal charges dropped, officer fired, they “The State of Florida licensing department was still demanding I take their DUI Class II which also includes upwards of 16 weeks of counseling after the class which you just paid around 500.00, class’s run 25.00 to 25.00 per session and these are really the biggest joke yet. I sat for an hour listening to where woman’s breast get bigger during pregnancy, next session when I quietly asked the purpose to this they respond that if I didn’t actively participant they would just per se’ fail me extend my required number of class’s and the very first rebuttal I made in class was told to “shut up and move over to a corner seat” ***** So basically you’ve been charged and tried in 2 courts — the criminal may have dismissed, but the State also tried you and found you guilty and to me their now EXTORTING monies from you in order to get your license back. Theres also a growing trend to this — It also gives the District Attorney the power to Yes just drop cases he feels he can’t winner with the full knowledge the State will be imposing their Unjustified penalties. Which again to me is out and out blackmail an or extortion. I went to my local congressman, wrote letters to our Govenor, Channel 9 news Investigation, basically anybody I could think of asking how this can be “Care to know their answers” It’s as follows _________________________________________! That’s the reason I recommend that my clients demand a formal review hearing instead of the waiver review hearing. At the formal review hearing, the attorney can subpoena all the witnesses to come and bring documents. The attorney can cross examine them to get to the truth while the officer is under oath testifying under penalty of perjury. Many people don’t realize that the consequences of the administrative suspension are almost as bad as the DUI conviction (even if the DUI charges are ultimately dropped). Thanks for telling your story. I’m sorry that happened. I think it would be really frustrating to be treated like a criminal when your criminal charges were dropped. Especially if you were factually and actually innocent. Some one used my name and got a DUI. I went to court a number of times requesting video to prove my innocence. As the case drew out I reached the max number of continuances, I had no way to court and I was unable to drive. Thinking I would be able to get a hard ship license and the suspension was pretty much over, I took the plea because I was tired of going to court. I now can prove that it was not me that was arrested, but I am beyond my appeal time for the case. Is it possible to request an informal hearing with the FLDMV and provide the new found evidence to overturn the suspension and clear my driving record. Let me guess, a Public Defender or more so DAs silent assistant. I’ve seen them delay/postpone cases for months upon months upwards of 18 months by personal knowledge especially if it was evidence they required. In my case it was postponed because original DA was not present he had to drop off a rental car that day. If I didn’t show and gave that excuse where do you believe I would be at today. He got a postponement when case should have been tossed/dropped whatever and my lawyer did argue the point agressively but the judge deemed his rental was more important that day. I was arrested for a dui in Virginia (I hold a FL license) in Aug2014, my lawyer has negioted a plea deal and I will plead guilty to dui and Virginia will suspend my license for 1yr in the state of VA. I know Fl is part of the license compact but what are the real chances florida will find out and suspend me? I keep hearing chances are but is it 100%? I refused the Breathalyzer test and was arrested for DUI. I eventually plead no contest to reckless driving and was convicted of that. I paid no fine, no community service, and no probation. Will this allow me to go to the Florida DMV and have my business purposes license upgraded to a license with full permissions prior to the one year suspension? You would have to look at your driving record to know for sure. But it sounds like you received a one year administrative suspension on the day of the arrest and that you did not get that invalidated during a formal review hearing. Therefore, you have a one year revocation that started on the date of the arrest. If you got a hardship BPO license then that will last for the rest of the one year period. Therefore, the fact that you avoided a court ordered suspension that comes with a DUI conviction doesn’t matter. Winning the DUI in a refusal case in court doesn’t give you any relief on the administrative suspension that started on the day of the arrest. No matter what happened in court it is not going to change the administrative one year suspension, so I would say the answer is no. If you have a BPO DL then you keep that till the one year is up and then you can obtain your full driving privileges. So the best way to think of it is that there are two potential suspensions. Think of two trains on parallel tracks that can run at the same time but might start or stop at different places. The first is the administrative suspension that is triggered by the officer issuing the DUI citation that contains the notice of suspension. That can only be fought at the Bureau of Administrative Review Office with the Florida DHSMV. Then you also have an entirely separate issue which is whether the court imposes a suspension related to a DUI conviction. So it is a little confusing. You’ve been roped into the system, It’s irregardless of the situation or circumstances Florida has already sentenced you guilty with no court/trial, no viable witness’s, no evidence — Just hearsay or accusation from one officer. As in my case it was tossed out, the officer literally lost his job (to which of course all the causes of such action the public can not access) I had 160.00 grocery’s in back of my truck which took over 1 1/2 hr to shop, purchase, load etc. even pulled in my own driveway,m did 4 blow test’s (guess till they got what they were looking for ? ?, always thought if you were drinking and stopped and the more time that passed you’d sober up, mine 3-4 hrs later I kept getting drunker,m funny how that worked and they would only produce one of the tests) – anyways This Fla. Admin law also gave the District attorneys the power to not fight a case in court knowing full well the State has already convicted you guilty and they can just drop or toss it out, what ever– I might understand this law if it was after the fact of the accusation being proven or not as in our right to a trial but it is not. (Know anyone that has gone to court/trial within 10 days) So the bottom line is you’ve been in my book charged twice ” as in double jeopardy” once with option of a trial (which is now meaningless), the other on just the say so of another person/officer with no substantiating proof just his/her say so. arrested for a DUI BLEW A 0.00 REFUSED A URINE TEST. the case was thrown out of court. will I still lose my license ? Yes, for a “refusal” case – if they gave you a citation that operated as a notice of suspension and you didn’t request and win a formal review hearing then you will have a one year suspension (for a first refusal) or 18 month suspension (for a second or subsequent refusal) regardless of whether or not you win the DUI criminal case. When they give you the citation / notice that says you have 10 days to demand a formal review hearing, then demand a formal review hearing. If you never got a notice and you have no administrative suspension, then you are free and clear because if the charge is dropped it means you didn’t get a court ordered suspension. If a person submits to chemical testing, loses their formal review hearing but then wins their DUI case at trial then there is a process to get the administrative suspension lifted but that option is not available in a “refusal” case. A friend of mine was 3 years into the 5 yr hardship license program and was arrested for a non-alcohol related misdemeanor charge. They kicked him out of the program and revoked his license permanently. Is this the end of him driving forever or can an attorney raise his case to the state in some way to return to the program? goodbye to any accountability or common sense. Do you know anyone who could help him get it back or would you recommend re-applying at all? The nearest Administration office located on the citation has been closed. How do I find out where it is? What if I cant afford a lawyer right away? I have my own business as suvcontractor of new construction homes and they pay me ever two weeks, so with my bail,impund fees, the bills, I dont have much left and will have to work more and wait. I live in Nassau county, but am assuming since its still Florida, things will be the same. Each county is assigned to a particular office of the Bureau of Administrative Reviews. So if you know the county that you were arrested in then you can determine which office of the BAR you go to. The BAR has the form for a pro se person can submit a demand for a formal review hearing without an attorney within the 10 days (and get a 42 day permit to drive for hardship purposes), but it is better to have the attorney make the demand because the hearing happens fast and there is a lot to do before the hearing to get the officers under subpoena. Most DUI attorneys offer a free consultation so go speak with several attorneys in your area. Most are willing to come up with payment plans. Thank you for your recent email regarding your identification card (ID). Your driving privileges were suspended for refusal to submit to breath, blood or urine test on October 29, 2003. Citation number 586097X was issued to you when you were arrested for Driving Under the Influence (DUI). The citation you received with you ID card number on it provided information to contest the administrative suspension. After reviewing your record I do not see where there was request to contest the suspension. Section 322.2615(1) (a) of the Florida Statutes states if the driver refused to submit to a lawful breath, blood, or urine test and his or her driving privilege is suspended for a period of 1 year for a first refusal or for a period of 18 months if his or her driving privilege has been previously suspended as a result of a refusal to submit to such a test. I trust this information will be of assistance in answering your questions. Should you have additional questions, please do not hesitate to contact me at 850-617-2607.
third, you put a refuse on my id card. i believe the refuse is meant to be used for operation of any type of vehicle. using the refuse to place a virtual suspension on an id card is a misapplication of the law. i have already visited the dmv in leesburg fl. regarding this error, and the customer service representative and the director of the facility mistakenly told me that this is a court error. but i checked with the court, and it isn’t. this is your problem, not the court’s. if you correct this mistake, or if you can’t fix it, or if you refuse to fix it, please respond accordingly. Question? Doesnt the ALS start at the offense date and not the conviction date? 3rd dui als suspension 2 within 5 court suspension. That administrative suspension begins on the date the notice of the administrative suspension was issued (usually the date of the DUI arrest). The court ordered 5 year suspension (revocation) begins on the date the sentence was imposed by the court.